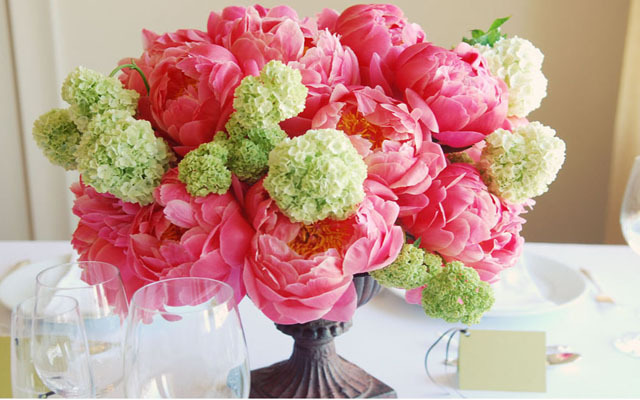 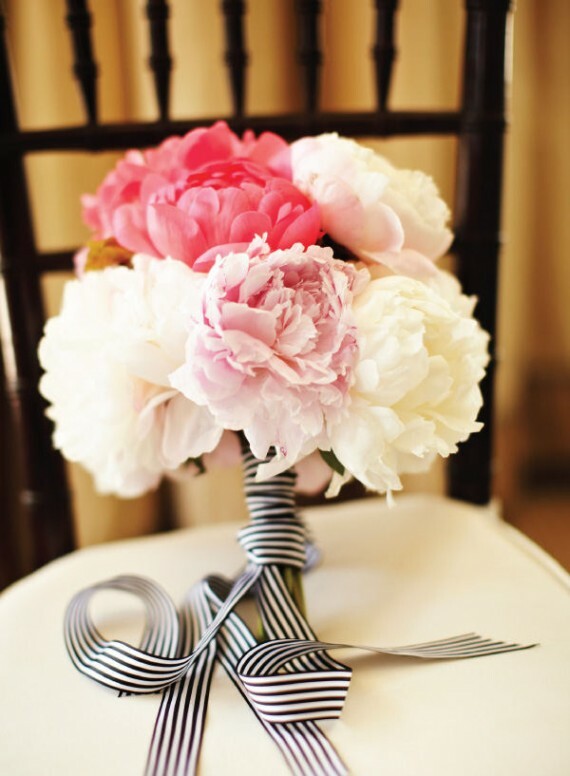 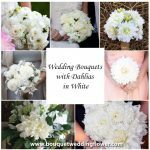 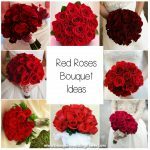 Gorgeous hydrangea and peony centerpieces ideas for your wedding. 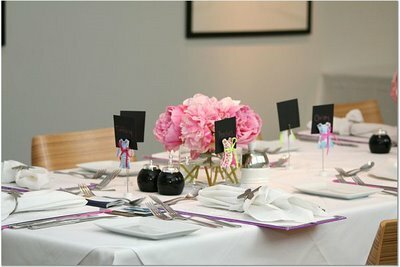 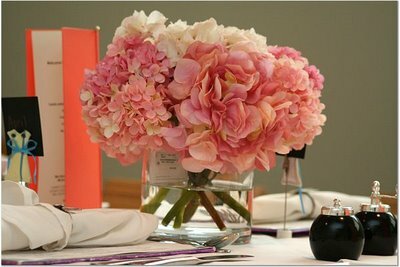 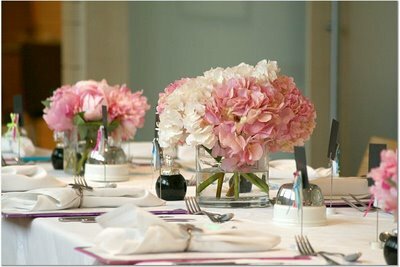 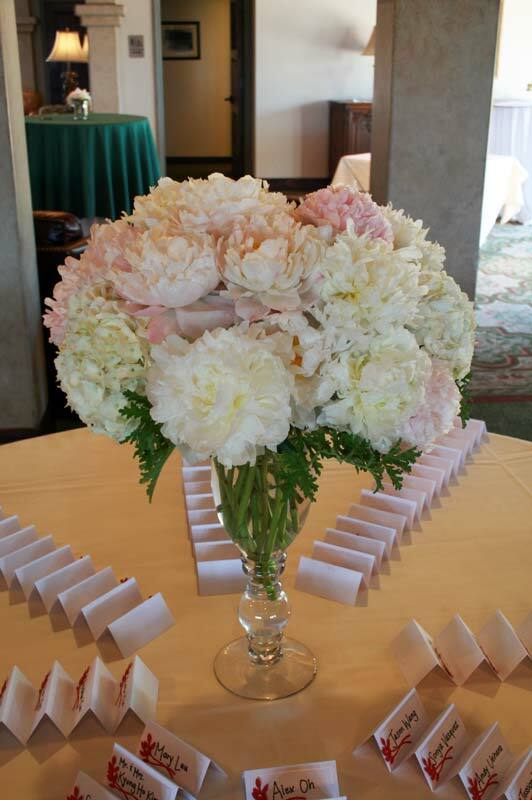 The first three centerpieces are from Lemiga Events with pink peonies and pink hydrangeas. 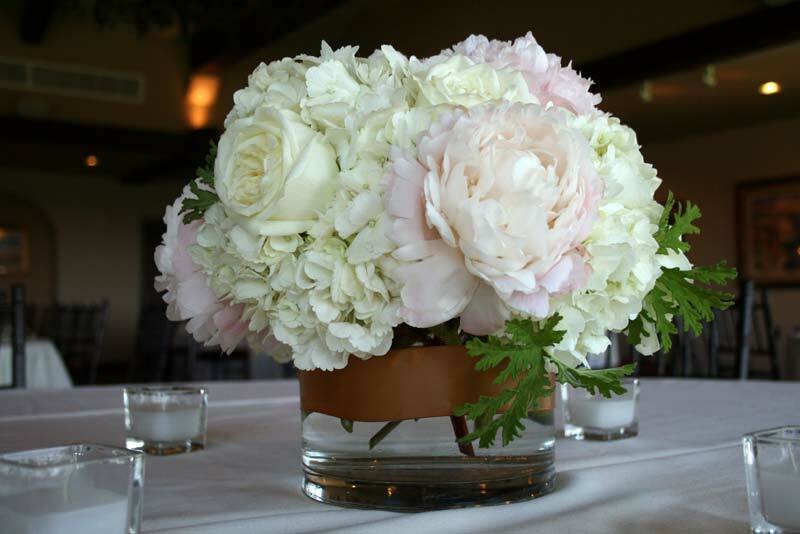 From The Flower Lab a centrepiece made of ivory hydrangea and ‘polo’ roses and blush pink peonies. 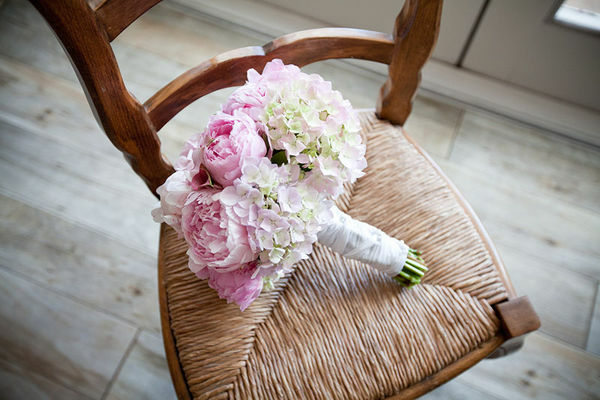 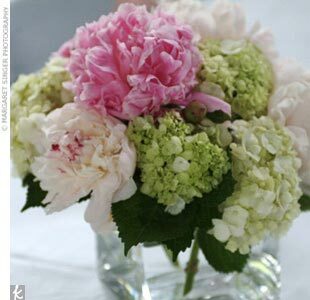 From The Knot a stunning green hydrangeas and pink peony centerpiece. 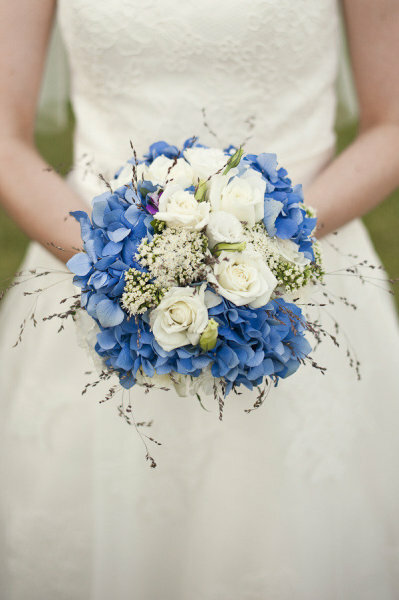 Another variation on the theme above, this time from A. Hana Design. 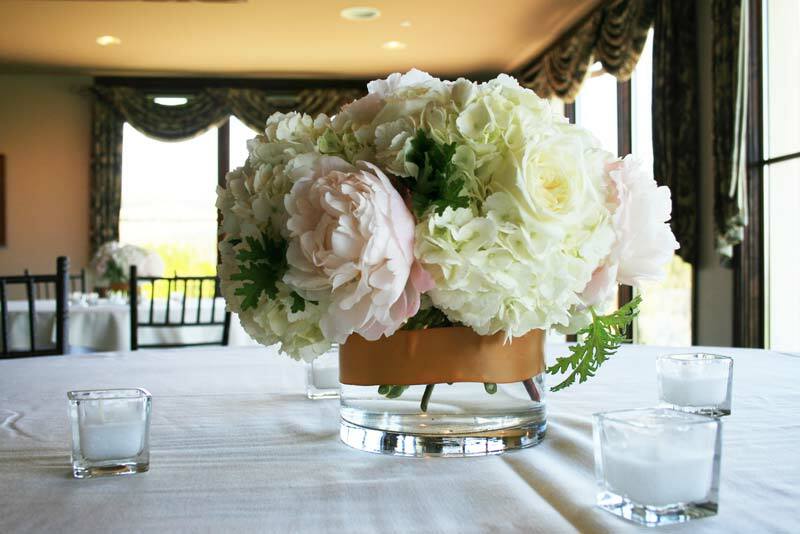 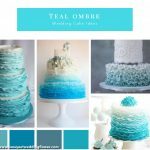 The following two centerpieces come from Elegance & Simplicity. 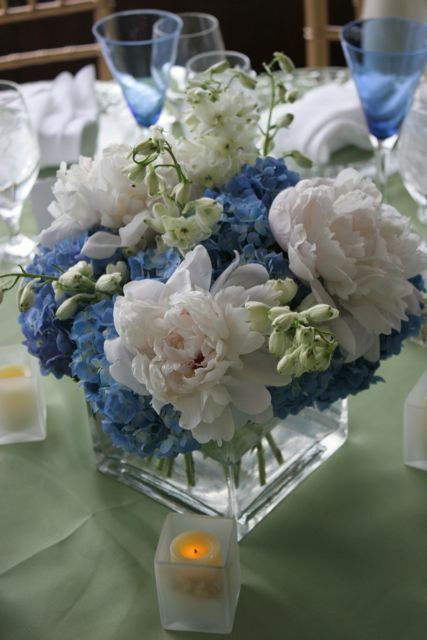 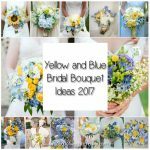 A table centrepiece with blue hydrangeas delphiniums and white peonies. 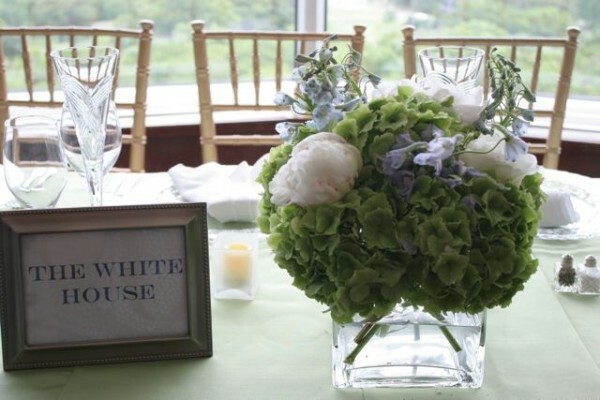 and a centrepiece with white peonies, delphiniums and green hydrangeas. 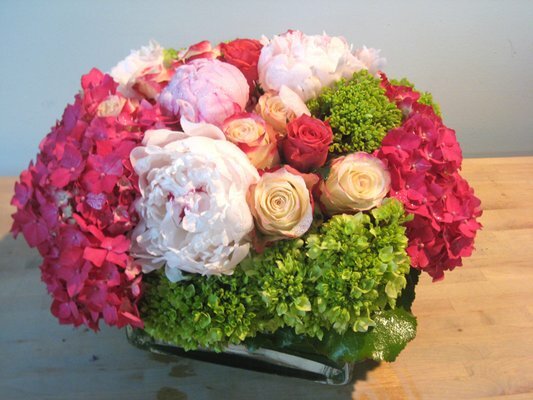 From L.A. Botanicals we have this amazing table centerpiece made of pink and green hydrangeas, roses and pink and white peonies. 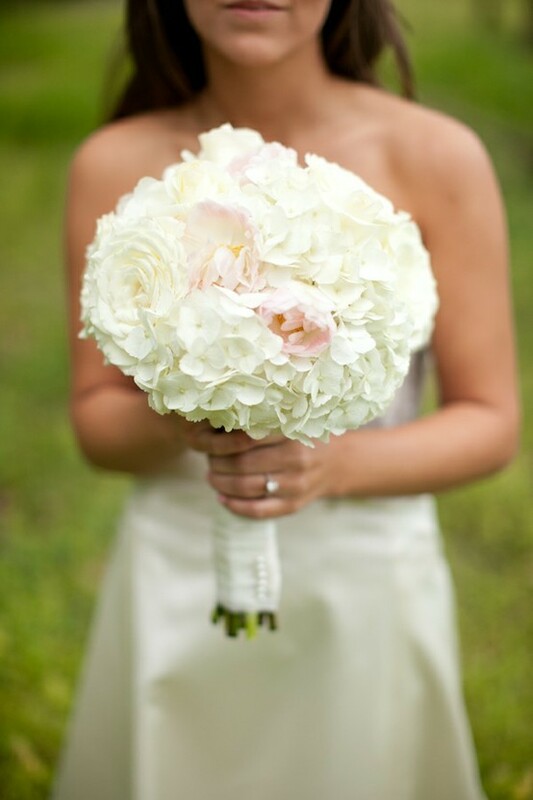 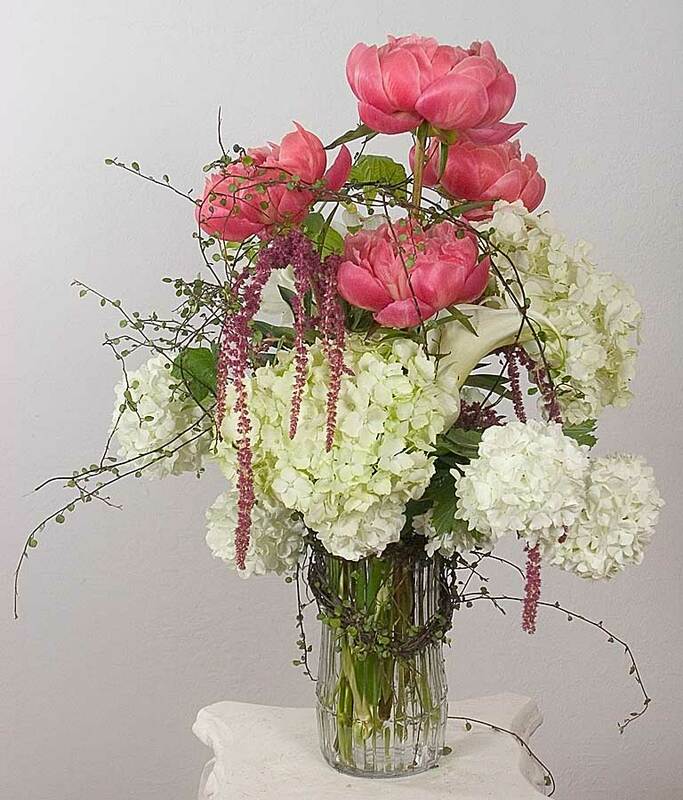 Coral pink peony bou­quet with white hydrangea and Angel Ivy from Yukiko.